Perched atop of the largest lot you'll find the biggest house on the block! New roof & professionally landscaped lawn. 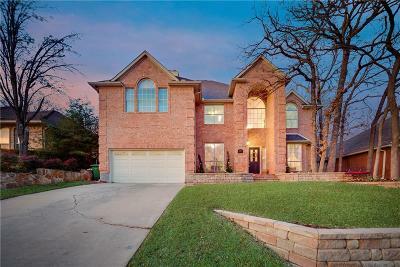 Entering in the grand foyer, take in the soaring, cathedral ceilings w-abundant natural light. Get ready for Cooking Club in your gourmet kitchen- perfectly positioned btwn formal living & dining room, next to the cozy family den. Well-appointed, executive office allows you to work from home. After munckins are tucked in to their own bedrooms, escape to your monsterously large Master Suite! Enjoy warm fires on cold nights, soak away stress in the remodeled bathroom, just don't get lost in the 150 sf Custom Closet! Hurry & See today, or you won't be enjoying your weekends by thebackyard firepit!